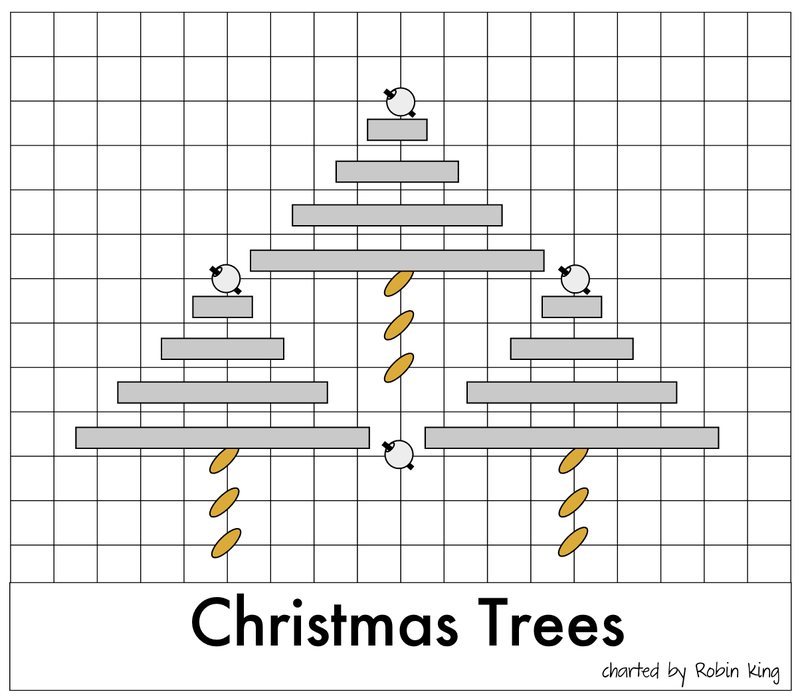 We are in the 2-week countdown until Christmas 🎄. Yikes! How's it going for you? 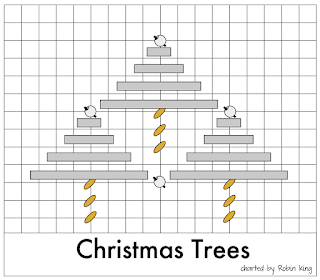 I thought I'd get into the Christmas mood and share with you a few of my favorite things. First up is this delightful stocking stitched and finished by Fran Tylavsky. The canvas name is Woodland Territorial Santa (TTAXS440) from Susan Roberts Needlepoint; artist, Liz Goodrick-Dillon. Fran attends my local needlepoint classes at Stitchers Inc in Memphis, TN. 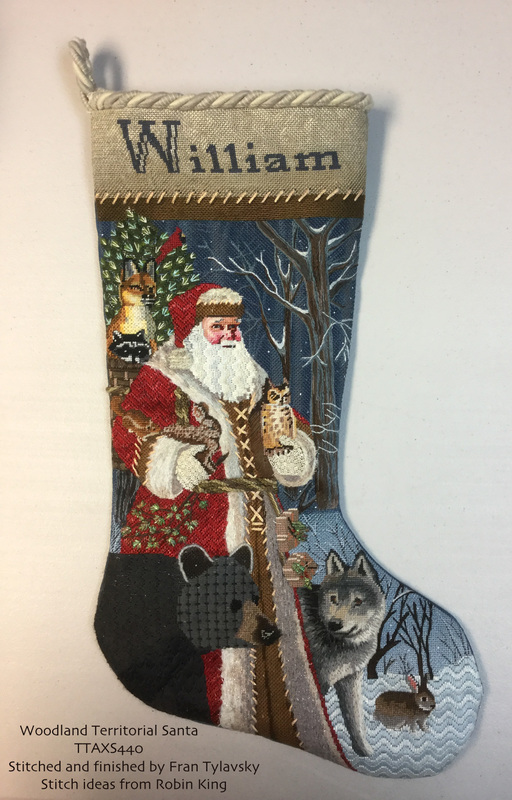 She recently became a first-time grandmother, and William is the lucky boy for this stocking. William is a very lucky boy! Lovingly stitched by Gran Fran. Fran stitched and finished this stocking this year... in only 8 months (our first class time was April 1, 2017) all while still working her full time job! Here's one of my photos from our class taken 04/01. 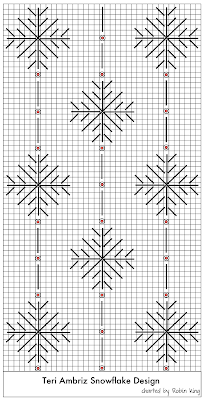 Here's one of my favorite things: Teri Ambriz Snowflake Design. 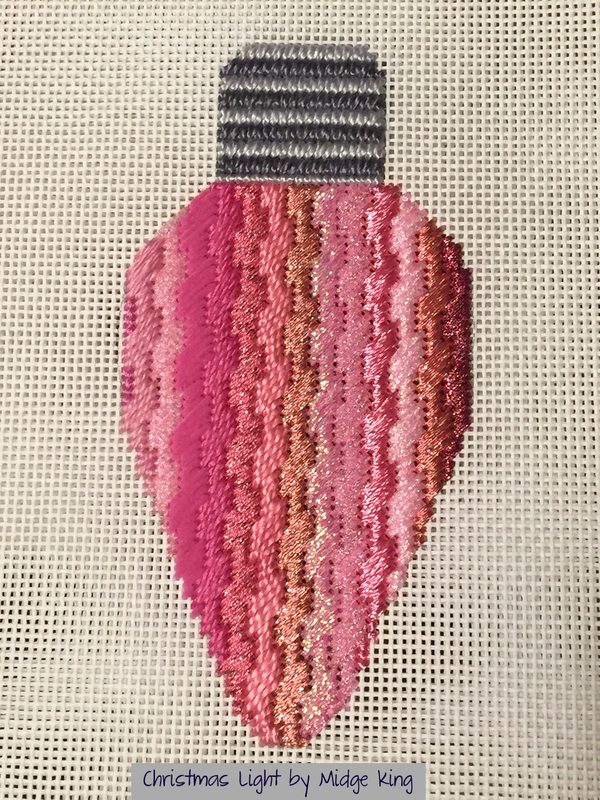 Teri is a member of the Facebook Needlepoint Nation, and she is a very prolific stitcher. One of her finished pieces had this delightful background. 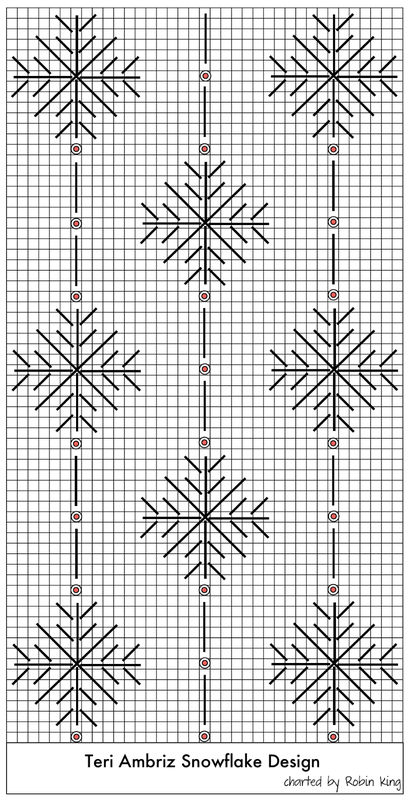 I diagramed it and it is now part of my stitch guide repertoire. Thanks, Teri for your inspiration! 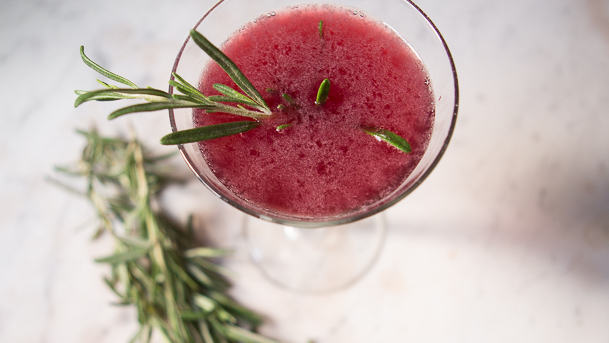 Every holiday/season needs a special cocktail, and my favorite December go-to is from Chef Mario Batali. One of my favorite things! My sister, Midge, designed and stitched a bunch of these for her Christmas tree. 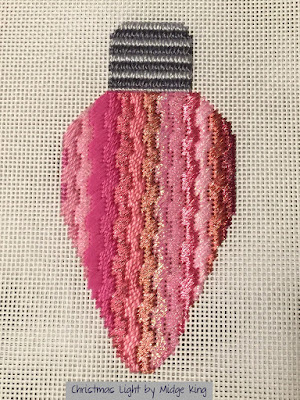 She used the same stitch different across the color families. Well, that's all for now. Would love to hear from you.